iPhones are the brand ambassadors which truly represent the technical era that we are living in. In one word, they can be dubbed as the ultimate smart phones that have revolutionized the way the world connects and communicates with each other. The first revolutionary concept that took the world by storm was the introduction of the touch screen with its virtual keypad. The user interface is easy and consumer friendly & major key to its success. It has a multipurpose usage as a video phone, camera phone with texting and voice mail features enabled, along with capability to be used as a media player, surfing the net and chatting. So far there has been four major generations of iPhone, each an improvement over the earlier versions. They are – iPhone original, iPhone 3G, iPhone 3GS, and iPhone 4. One thing that has remained common among all the models is the screen size of 3.5 inches diagonally. The first three generations have screen resolution of 320×480 pixels at 163 ppi while the latest model has 640×960 pixel resolution at 326 ppi. All the screens have scratch and finger print resistant property in them. The color image has improved from 18 bit to 24 bit in the later versions. The first iPhone was launched in the year 2007 which immediately captured the mobile market with its revolutionary touch screen concept. It had a 3.5 inch capacitive touch screen with 412MHz processor, and 128 MB RAM. The storage capacity ranged from 8-16 GB.It was Wi-Fi enabled, with Bluetooth connectivity and USB 2.0. The camera in it had 2.0 mega pixels. Apple added the additional connectivity features in the form of 3G network and a GPS locator in the first iPhone and launched the second version in July2008. 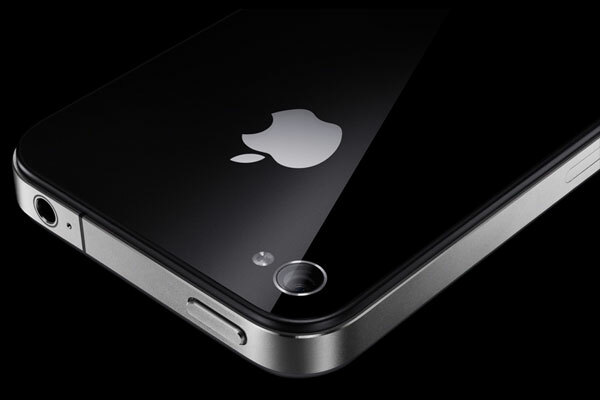 The operating system of the Apple iPhone has always been a step ahead of its competitors. It is based on the multi touch gestures of the users on the phone’s touch screen. This phone had the next level of iOS 2.0. The processor, memory and the camera capability remained the same as the earlier version. This version released in 2009 had improved hardware features that gave it a speedier make over. It had iOS 3.0, with faster processor speed of 600 MHz ARM, a 256 MB RAM memory and 8, 16, or 32 GB storage capacity. It had a higher camera resolution of 3.15 mega pixel with video recording capacity. The same chip of the old block – this offer from Apple iPhone works as two variants in the GSM and CDMA module with iOS4.0 and 4.2.6 respectively. It has both a front and a rear facing camera of 5 mega pixel. The data connectivity is faster with the latest GPRS and EDGE technology, along with it being Wi Fi, and Bluetooth enabled, having 3G and USB 2.0 port. So, This is how Apple has managed to take its innovation to industry leading smartphone named as iPhone, We have already seen a sneak peek of how new iOS 5 works & Also rumored iPhone 5 is on its way in late september. Let’s wish good luck to apple for new launches this fall. For more such editorial reviews, studies & tutorials Subscribe to our Free Newsletter by Email. Also don’t forget to tell us what you think about this article & in comments below. Travelog iPhone App Review – Traveller’s Best Blogging Companion! ourUSB iOS App Review: Social Integration of Cloud Tasks!